ESPN.com: The Dec. 14 shooting at Sandy Hook Elementary School, in which 20 children and six faculty members died, was the second-deadliest school shooting in the United States. The deadliest occurred on the Virginia Tech campus in Blacksburg on April 16, 2007, when a gunman killed 32 people and wounded 17 others. 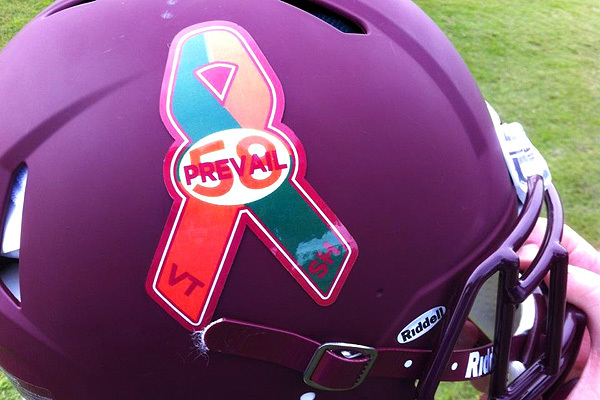 To remember those killed in both tragedies, the Hokies' helmets will feature a large orange-and-green ribbon, the word "Prevail" and the number 58 for the total number of victims. "It's just one of those things that we've been through what those people up in Sandy Hook are going through," Virginia Tech coach Frank Beamer said Monday, according to the Orlando Sentinel. "We prevailed in Blacksburg. I think if anything, it brought us closer and more determined, and the same thing is going to happen there. The way the community is coming together. It's a terrible thing to happen." Virginia Tech will play Rutgers in the Russell Athletic Bowl on Friday in Orlando. 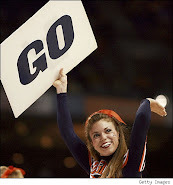 The Hokies will wear a smaller version of the ribbon during the game, the Sentinel reported. "We've got to prevail," Beamer said. "We can't let one person define Blacksburg or Virginia Tech, and we can't let (one) person define (Newtown)."